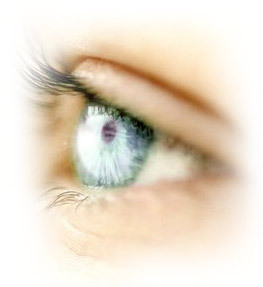 Cornea transplant is the most common and successful transplant surgery done today. The cornea is the clear front window of the eye that covers the colored iris and the round pupil. Light is focused while passing through the cornea and focused on the retina. If the cornea is injured it may become swollen or scarred, distorting the shape of the cornea. When light passes through an irregularly shaped cornea the light will scatter resulting in glare and blurred vision. Once you and your doctor decide you need a corneal transplant, your name is put on a list at eye banks in California and Panama . The average wait for a donor cornea is two weeks but could be as short as 3 days or as long as one month. Comprehensive testing is completed to insure the cornea is free of any disease and is carefully checked for clarity. Other information that has been found critical to the success rate of corneal transplants is the cell count of the cornea and the number of days the cornea has been available. The higher the cell count indicates a healthier and younger cornea which has been found to lower the chances of rejection. Unfortunately, doctors often accept as low as 1300 cell count and will use donor transplants at 14 days old. The surgeon SSI recommends for this surgery will only accept a minimum of 2500 cell count and will never use donor transplants over 6 days old. As a result his percentage of rejections is far below 5% where as the national average in the United States is 5%. Another crucial treatment is accelerated steroid therapy. If a transplant starts to show signs of rejection the first line of defense is always to increase the steroid dosage, which protects against rejection. New studies show that by using an accelerated steroid therapy, even before any signs of rejection, greatly reduce the rejection rate. This is our standard practice. Surgery is often done on an outpatient basis. Either a local or general anesthesia is used, depending on your age, medical condition, and eye disease. During the operation your doctor will remove the damaged cornea and complete any necessary additional work within the eye, such as removal of a cataract. Then the donor cornea is sewn into place with invisible micro sutures. When the operation is over, your doctor will place a shield over your eye and you will begin using eye drops that include antibiotics and steroids. Follow up appointments are scheduled for the one day and one week after surgery. Sutures are normally removed in 6 months to one year.